If you’re trying to put together a budget for your building project, the best way to start is by listing out the amount of square feet needed and then create a list of components and features. What will you be using a pre-engineered steel building for? 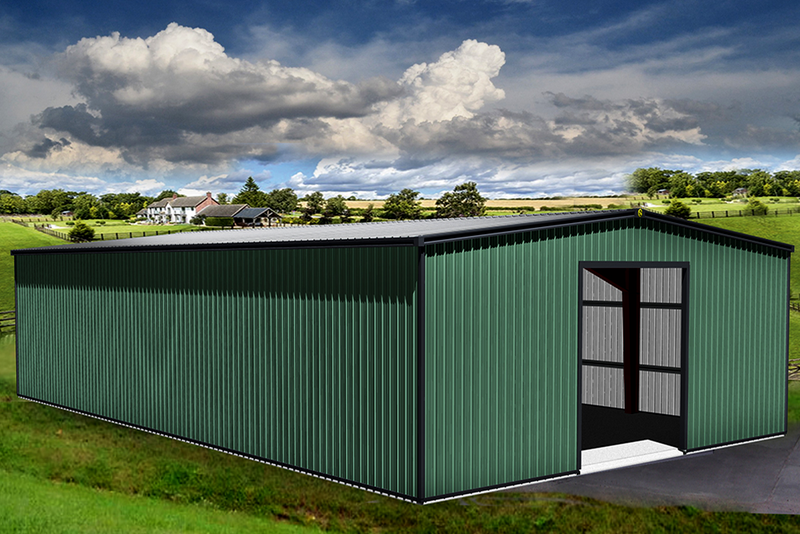 Are you building a warehouse, commercial office, storage unit, or a large barn? A 50×100 steel building offers 5,000 sq ft of space, which is a great size for a commercial office building, industrial shop, warehouse or auto body shop. A 50×100 metal building cost range is anywhere from $31,000 to $36,500* based on current steel material pricing. When calculating the steel building cost per square foot on a 50×100 steel building you can expect to pay a rate of anywhere between $6.20 and $7.30* per sq ft. The specific components and features will vary depending on what type of building you plan to use a 50×100 for. For example, doors, garages, windows, wall panels, and metal roofing are some of the most common necessities. If you are seeking energy efficiency you will definitely want to install a high r-value metal building insulation system in your building. Ready to dial in the specifics? Let us help you with a metal building price quote.